aCar is a one-stop shop of an app when it comes to keeping track of car-related details. The app can record servicing, parking fees, and, yes, fuel. The last thing on this list attracted the eye of Fuelly, a company whose website helps users calculate their vehicle's fuel economy. It purchased aCar back in May, and now the Android app is receiving its first update since the acquisition. Version 4.8 doesn't shake things up too much, but it does take some steps towards integration. 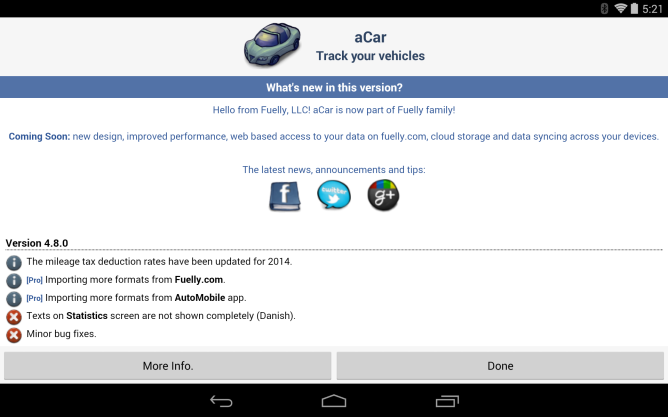 The pro version of aCAR can now import more formats from Fuelly.com. Fortunately, it can still pull information from other sources as well. Despite new ownership, aCar won't sport a new coat of paint right away. The app may eventually become renamed Fuelly somewhere down the line (and yes, that is the plan), but Fuelly also purchased popular iOS app Gas Cubby, and that app has yet to morph into something different. 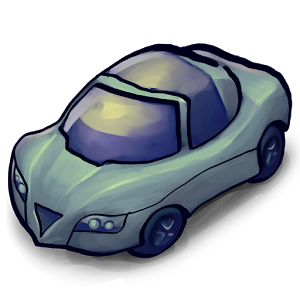 For now, new features aside, aCar still looks largely the same.